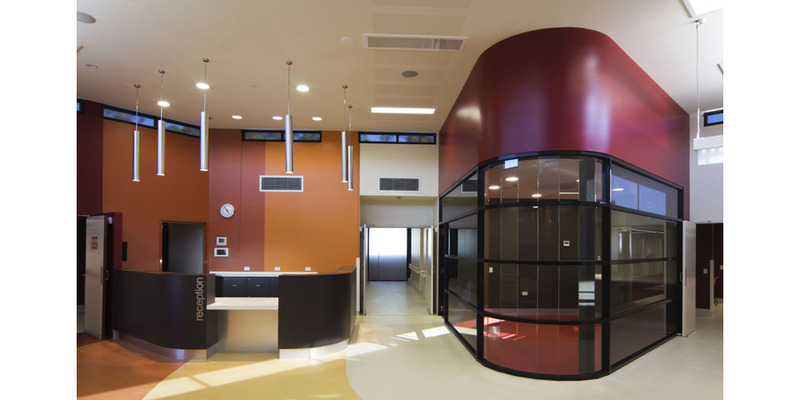 A continuous connection to the outside environment was the impetus for the design of this facility where patients and families must often endure long and frequent treatments. Client spaces can be both private and communal, giving the opportunity for clients to socialise. This is especially important when they are being treated for long periods of time during dialysis. The zones between dialysis and oncology are deliberately blurred to allow for flexibility in delivering treatment, depending on client demand. 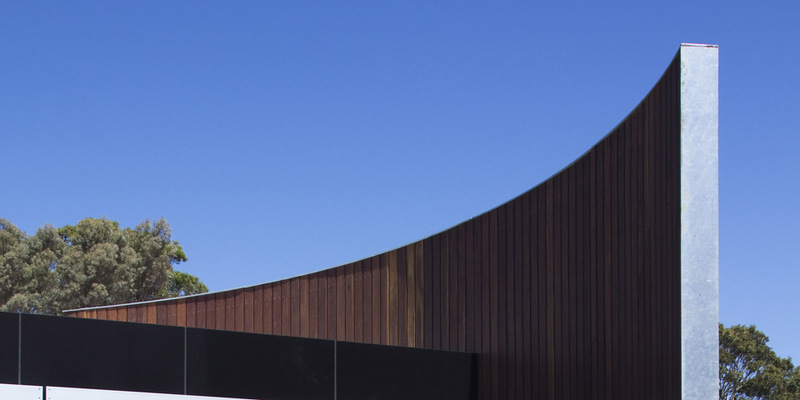 The building is a triangular form in response to the restrictions of the site. 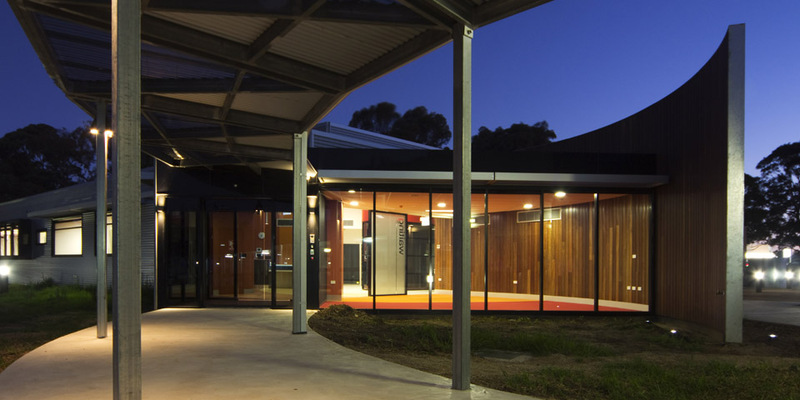 Full glazing to the north and a central highlight well allow natural to light penetrate into the core of the building. 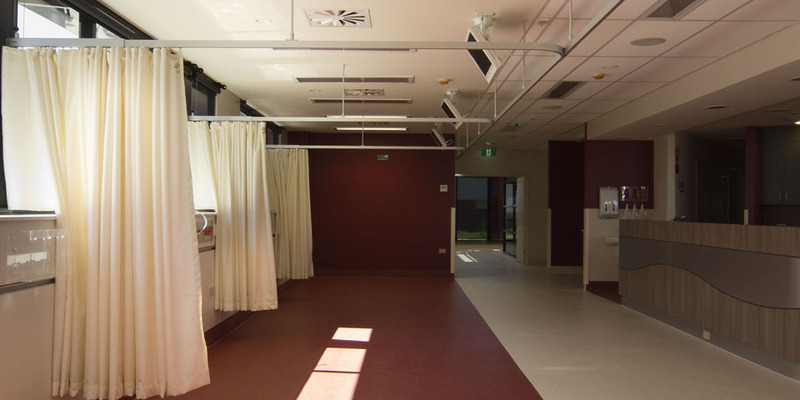 Distances between zones are minimised, and a centrally located nurses station allow for easy monitoring of patients. 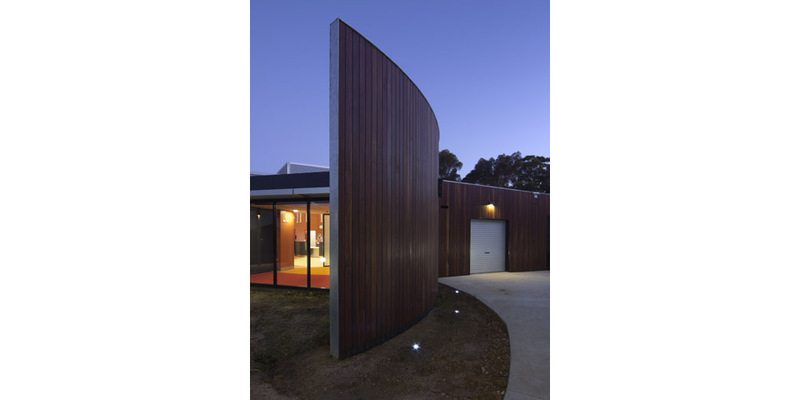 The building sits lightly on the site with a play between modern contemporary forms and earthy colours and textures retaining the essence of its rural location. 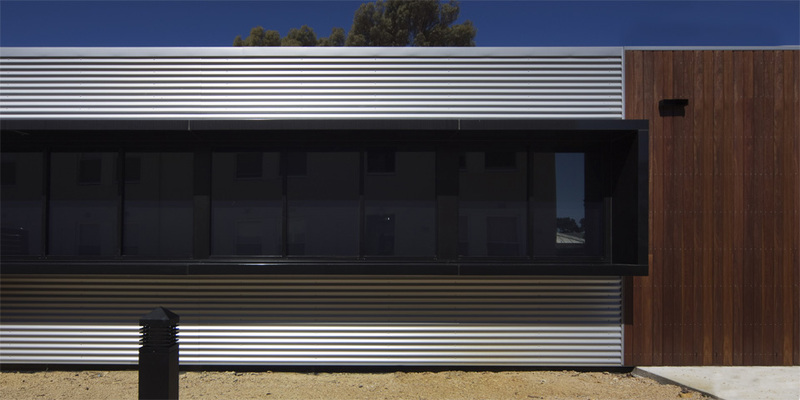 Corrugated cladding and the warming tones of vertical timber lining combine with lineal slot windows and a composite aluminium feature blade surround. 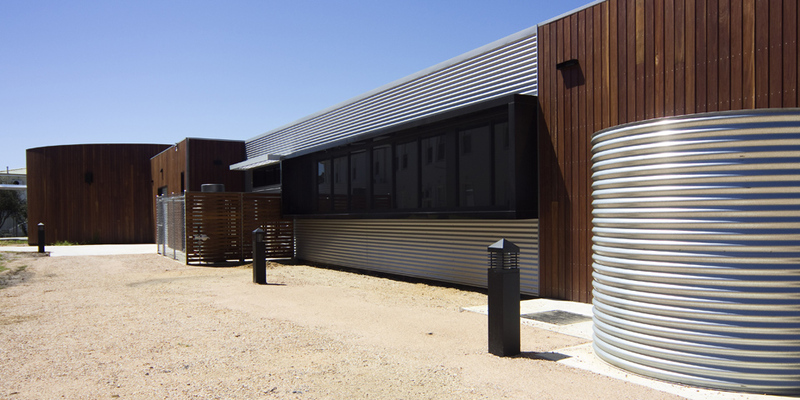 Anodised aluminium louvres provide a visual link to the new accident and emergency building. 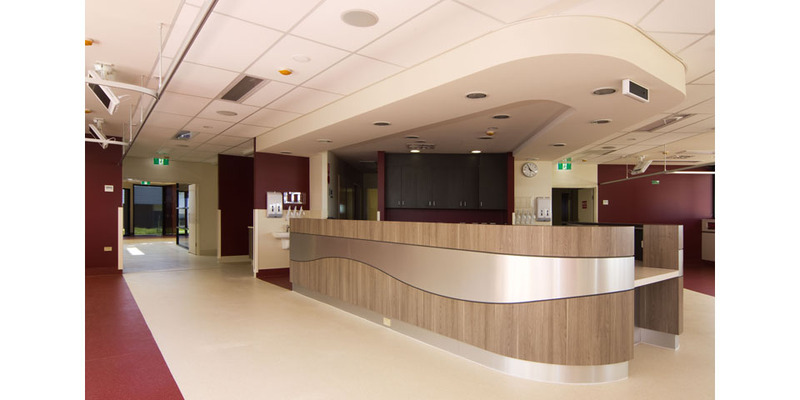 The design has been commended by a leading renal specialist as a state of the art dialysis centre.